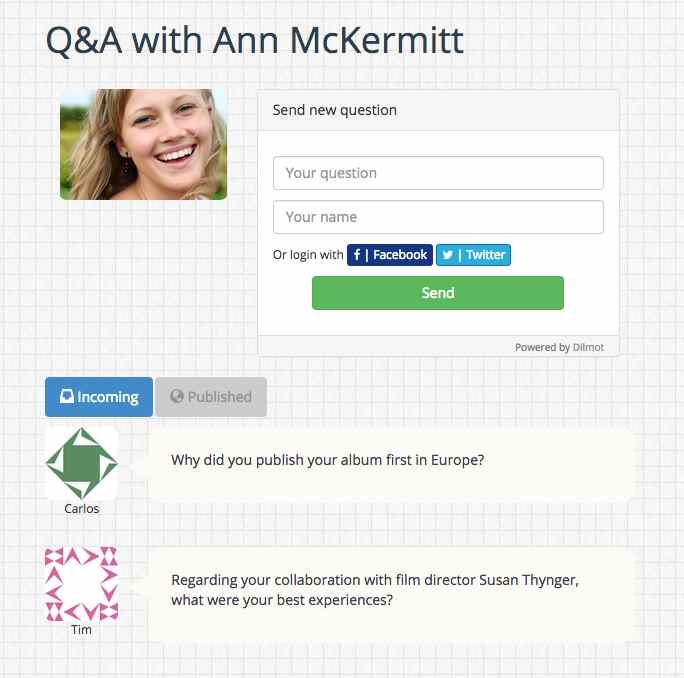 In a similar fashion to a blogging platform, Dilmot allows you to publish your own live Q&A sessions. It works as a stand alone website, and you can also embed it in your own web. Read below to learn more about Dilmot or drop us a line to get further info and support. To start publishing you need to create your account. It is lightning fast. Just choose the name you would like to use for the account and your credentials. 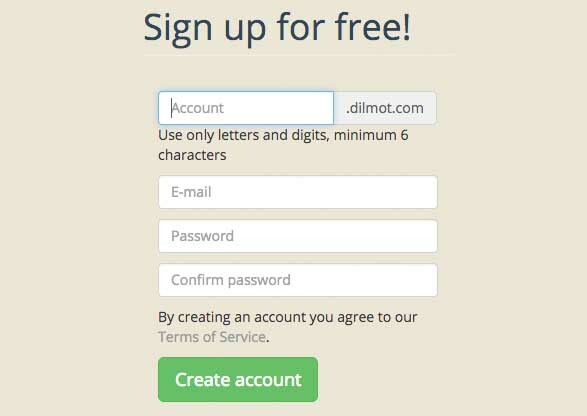 You will publish at your subdomain at dilmot.com. Using your own full domain is also possible. Select your preferred language. If it is not available get in touch with us and we will get it translated. Choose your timezone and personalize the account with your logo and avatar. You can also choose to have an e-mail notification every time you receive a new question. A stream is the page where the conversation will take place. 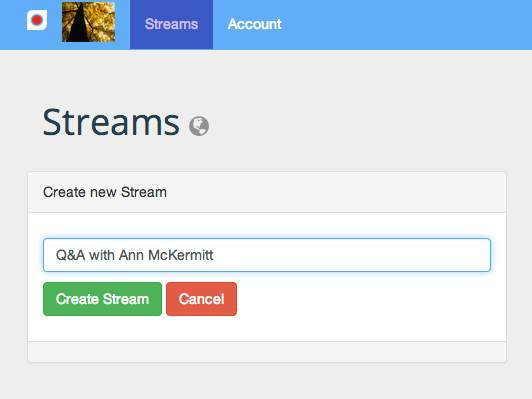 Publish a stream to cover one topic or one person. 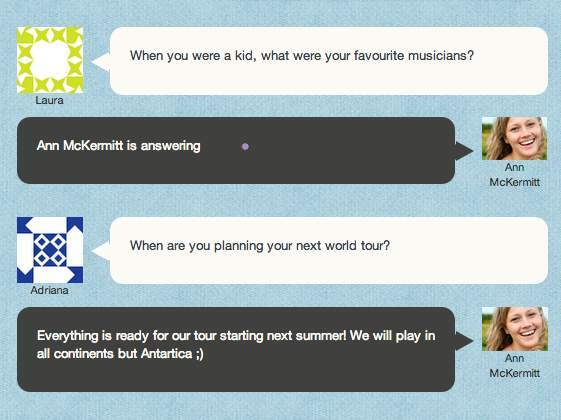 The stream is a Q&A chat conversation that can last as much as you want: minutes, hours or days. Give access to the guest who will answer the questions with a secret web address that the application will provide you with. 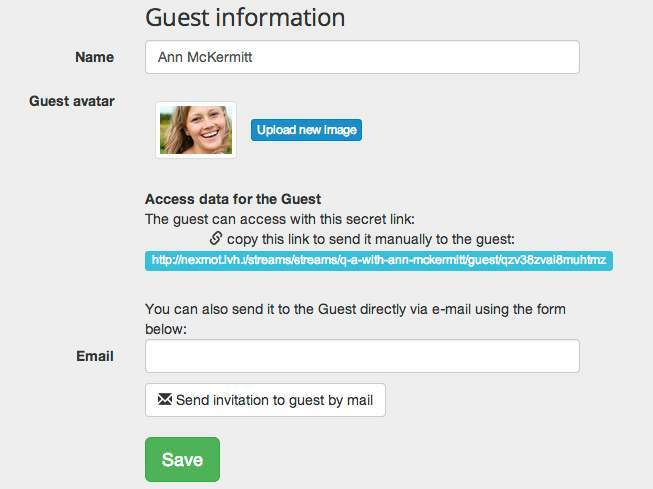 No need for the guest to register or use password. 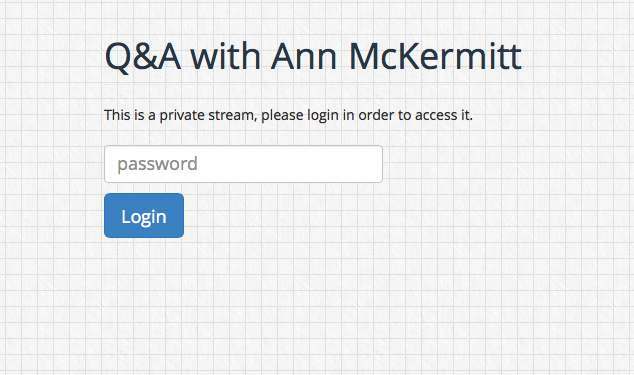 The secret url will be the access token to the panel where the guest has to answer. Don't have anybody to invite to an interview? 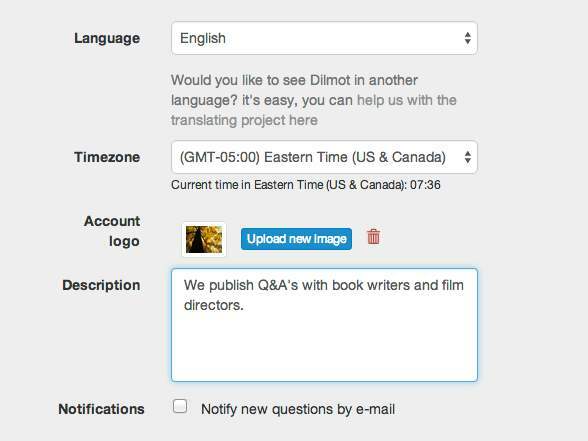 no problem, you may use Dilmot to answer yourself to the questions from your readers. 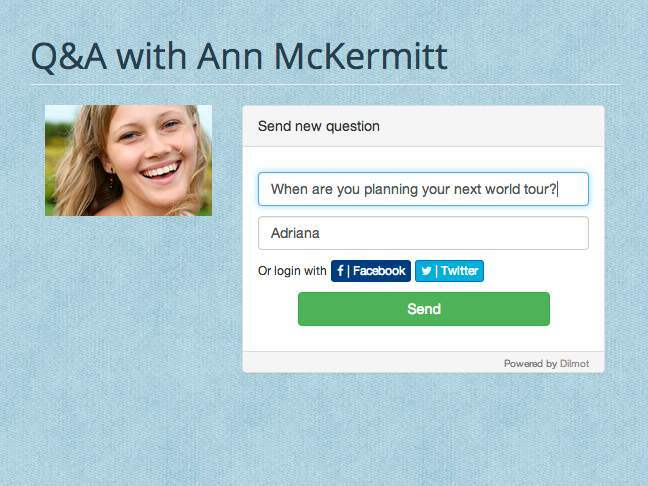 Readers can send questions by simply using the form in the stream page. They may identify themselves with their name or with Facebook/Twitter. It is also possible to add the e-mail field to the form, so that the reader will be able to know when the question has been answered and it will also be easier to be make a future contact. 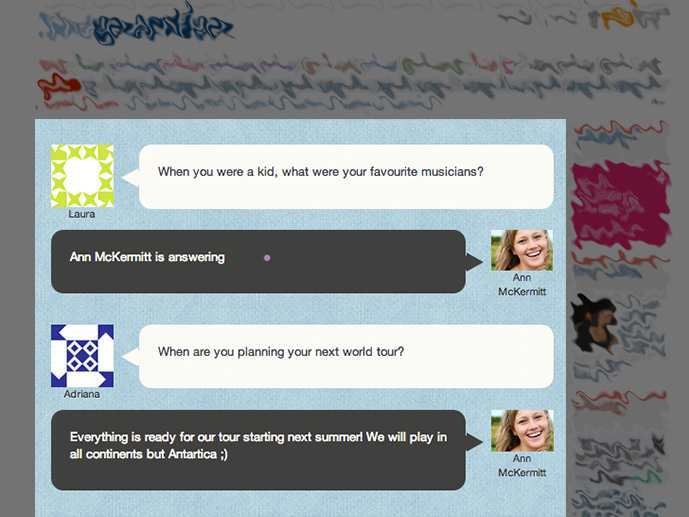 You can moderate and edit the received questions in a easy to use panel. 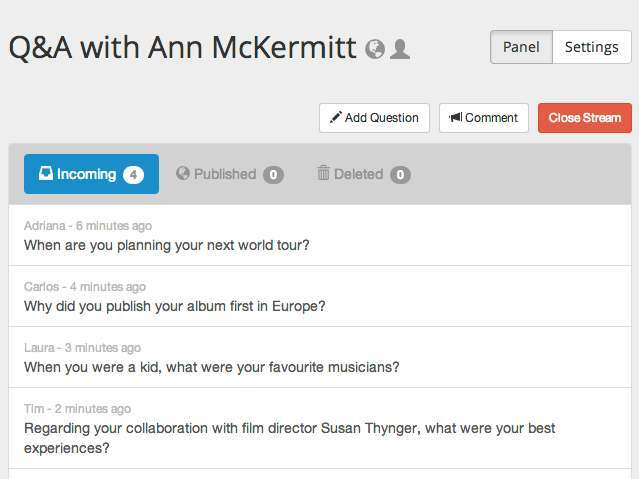 As the moderator, you can also send new questions or make comments. The answers are published in real-time, there is no need to refresh the browser. Actually, everything is updated in real-time. So, the guest and moderation panels are automatically updated during the chat. Your Dilmot account comes with a subdomain for you to host your streams. But if you prefer to embed it on your existing web, you can do so very easily. Plus we can customize anything you like, just get in touch with us to get a solution to your needs. You can decide to show the questions that have been received (and moderated in case you have turned on this option). The public will then be able to read them before they get answered by the guest. This may be good to encourage more participation, give ideas to each other and generate debate. In situations where you would like to keep the access to the stream restricted, such as using the Q&A's as part of paid courses, exclusive benefit, a newsroom. Or even if you want to hold an interview privately and decide to make it public afterwards. This is easy to set-up in Dilmot, providing password to protect access to the stream. As a moderator, you may want to change the order in which you would like the guest to answer the questions. With this powerful feature you can do that instantly and in an intuitive manner. And a lot more features that you will discover when you start using it!